As a line manager you don’t have time to take several days out the office to learn a new system, which is why you will love PeopleMaps; the psychometric test free from complication. When PeopleMaps set out to design the webs best psychometric test for personality, we were determined to make it quick and easy to use. We were determined to create a psychometric test free from complication. We were very aware of the challenges line managers face today and the last thing you need is further complications. The PeopleMaps System is clever but the smartest thing about it is how quick and easy it is to use. If you have to interview a job candidate in half an hour, then you can use PeopleMaps. From start to finish only takes a few minutes. You can select one of the standard recruitment reports, or you can design your own. Tick a few boxes and within a couple of minutes you have designed your own personality report. Many providers of personality profiling deliberately make them difficult to use so that you buy their expensive and time consuming training courses. It usually not in the interests of the psychometric provider to make it quick and easy to use because they depend upon you paying consultants to make the system work for you. You are not charged for candidates to complete the personality questionnaire, so we encourage you to have all candidates complete it. You are only charged when you decide to actually open up and read a report. And of course we gently insist you try it for free and you read your own report for free before you buy anything. We know you will be impressed. Free psychometric tests are often of poor quality and rarely reliable. PeopleMaps was developed for the Internet from it’s inception. There is no legacy paper system. PeopleMaps did not have to drag on old paper-based questionnaire onto the internet. In the world of professional personality profiling, PeopleMaps is quite unique. Not only do you get a personality test free from complication but your users do too. Twenty minutes is a long time online, (unacceptably long), so we spent years devising a questionnaire that could be completed by candidates / clients in less than 8 minutes. This is still a Jungian system, however Internet technology facilitates a much more ingenious questionnaire design. Where previously you had to answer dozens of A/B statements, PeopleMaps has compressed this. So you spend less time answering questions but without any compromise on the accuracy or resolution of results. 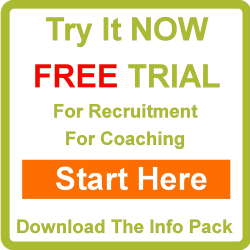 So what can you do with a psychometric test free from complication? Most line managers use it for recruitment. Within minutes of registering from an account they can have candidates complete the questionnaire. As soon as a candidate is registered in your account, you can print off their personality report and walk into the interview. The personality report is written specifically for recruitment and will guide even the most inexperienced interviewer through a meaningful and revealing interview. The reports are written in plain English, with no jargon. Read the essential guide to Psychometric Test and also more about Psychometric Tests here. These are just some of the reasons we say that this is a psychometric test free from complication.